The European Bank for Reconstruction and Development (EBRD) is providing a $26 million loan to Astarta, Ukraine’s leading agribusiness operator and sugar producer. The loan will support the company’s working capital needs. The agribusiness sector, which is a key component to the growth of the Ukrainian economy, is gaining growing support from the EBRD. 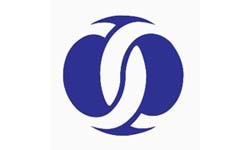 Since 2008, Astarta has been a leading client for EBRD. At a time when there is reduced funding available in the Ukraine, these proceeds will help to sustain Astarta's operations. “Support by our long-term financial partner EBRD is strategically important for our company. During this difficult time in Ukraine, Astarta remains a reliable employer, social and business partner, taxpayer and exporter, which is much needed to support the country’s economy," Viktor Ivanchyk, the CEO and founder of Astarta, said. Since August of 2014, the bank has committed almost $9.4 billion to 331 projects in the Ukraine.